The Samsung Galaxy Stratosphere II is an Android slider phone featuring a Qwerty keyboard, a 1.2 GHz dual core processor and LTE as well as NFC. The handset runs Android 4.0 and can be used with the Isis NFC payments service. 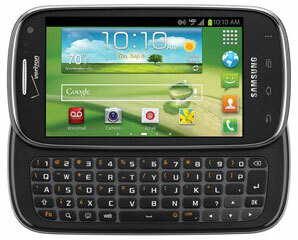 The Galaxy Stratosphere II has been available in the US on Verizon since November 2012.